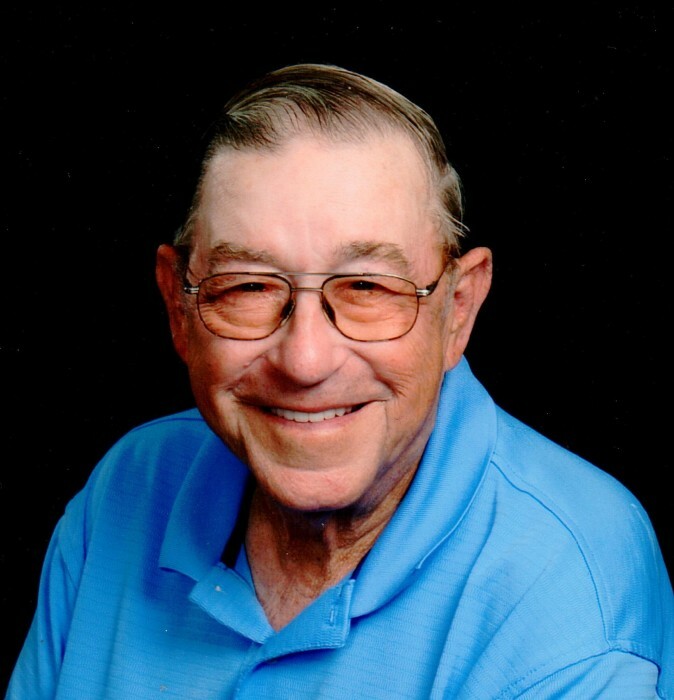 Jackie “Jack” Lee Shafer, 82 of Louisville passed away at 10:55 PM on Monday, January 14, 2019 at his home in Louisville. He was born on December 7, 1936 in Oskaloosa, IL the son of the late Stanley Lovejoy and Emogene Lucille (Holzhausen) Shafer. He married Joan Kay Gobel-Tinsley on April 19, 1984 at Hoosier Prairie Baptist Church and she survives. Mr. Shafer worked as a custodian for 43 years with the North Clay School District in Louisville. He served in the United States Army and was a member of Louisville American Legion Post 914. Jack was also a member of the Louisville Baptist Church and the Clay County Farm Bureau. In his spare time, he enjoyed gardening and painting and he was an avid camper. In addition to his wife Joan, he is survived by his mother-in-law Josephine Gobel of Louisville, two daughters, Shari (Tim) Kessler of Louisville and Sheila (Dale) Potter of Alma, a step daughter, Kim (Doug) Smith of Louisville; two step-sons; John (Jennifer) Tinsley of Louisville and Chuck (Karen) Tinsley of Salem; fifteen grandchildren, Stephanie (Shane) Stortzum, Adam (Jenna) Kessler, Andrew Kessler, Kaitlin Kessler, Brittney (Jeremy) Whisler and MacKenzie Potter; Jessica Kessler, Matthew Kessler, Megan (Josh) Winka, Christopher Tinsley, Michael (Kim) Tinsley, Zoe Helm, Caroline Tinsley, Randall Cnaak, and Chelsea (Zach) Garrett, and thirteen great grandchildren. In addition to his parents, Jack was preceded in death by a sister, Mary Kay Smith.